Looking to get involved in something BIG!? Circles of Rhythm Foundation is taking the next step towards building commUNITY through rhythm, everywhere. Join us for an evening of amazing music and commUNITY– Enjoy some *Chill Beats blending contemporary lounge rhythms with tribal sounds of the didgeridoo, native flute, and tabla while you converse with like-minded individuals & win big with our *Silent Auction! 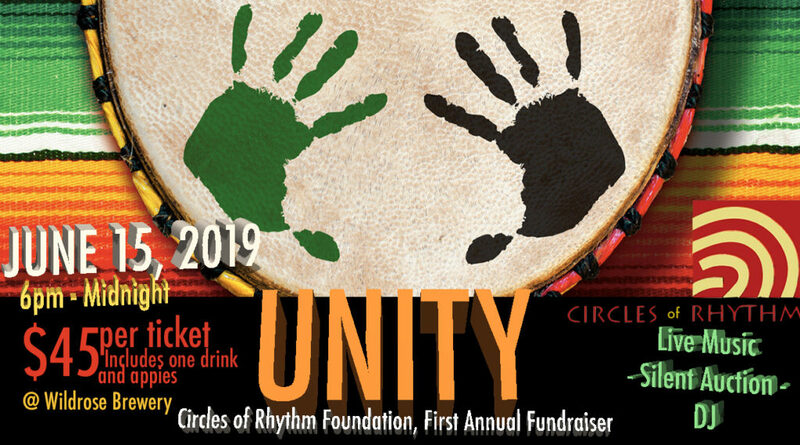 Following a brief presentation highlighting the Circles of Rhythm Foundation Mission & Vision for Recovery, Resiliency, Reconciliation through Rhythm, the music will continue on with a *LIVE BAND and a *DJ to close out the night. Tickets $45 each – Your first beverage and appetizers (served between 6:30-7:30) are included! Silent Auction ends at 9pm, LIVE BAND to follow. WOULD YOU LIKE TO GET INVOVLED? Contact us via email at info@circlesofrhythm.com for more details.